If you're planning to explore the great outdoors on two wheels, make sure that you have the right motorcycle camping equipment to make your adventure as enjoyable as possible. Will you be traveling by RV or automobile? If you're planning on towing your motorcycle when you take it on camping trips, you'll need to invest in a quality motorcycle trailer. Both open and closed trailers are available. Select one that fits your budget as well as that can be towed by the type of vehicle that you will use to tow your bike. Space is certainly at a premium when you are traveling on two wheels. If you're planning to hit the road with just your bike and the equipment that you'll need to camp, you'll need to invest in a small tent, sleeping pad, and other compact camping gear that can easily be stored and transported on your motorcycle. If you can't find items specifically made for bikers, those designed for backpackers may be a good option. Any time you go camping, it's important to take along a fully stocked first aid kit. Selecting a kit design especially for campers can be a great way to make sure that you have the items you are likely to need in a compact, easy to pack container. No matter what type o kit you choose, take an inventory before each trip so that you can be certain that you have all of the necessary items on hand for each trip. 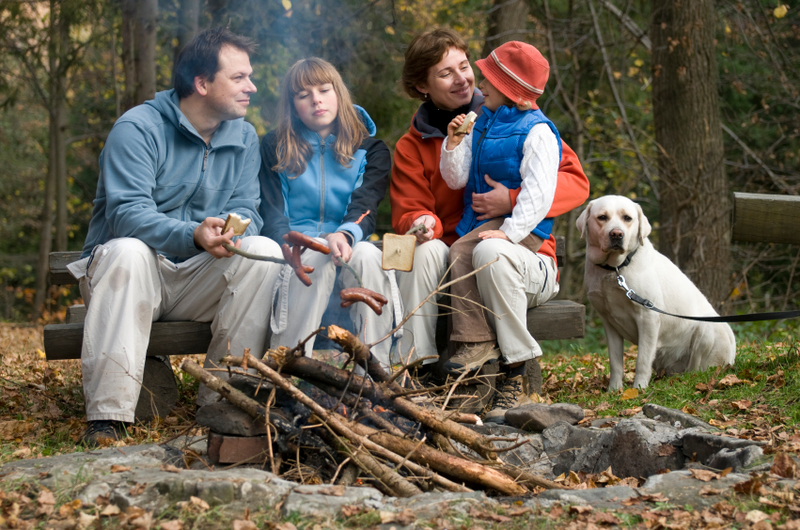 Even when you're planning to "rough it" when you go camping, it's a good idea to take along basic electronic equipment that will allow you to keep in touch with civilization if you want or need to during your trip. At a minimum, be sure to take a cell phone and charger. You may also want to consider taking a weather radio and GPS device. No matter what the weather forecast shows, there's always a possibility that you'll have to deal with rain during your trip. Be sure to pack rain gear, including a hooded slicker or poncho, rain pants, and something water resistant to cover your shoes. The best way to make sure that you have compact sizes of all of the personal care items that you need is to pack a hygiene kit designed especially for outdoor enthusiasts. No camper should head to the great outdoors without a quality pocket knife and at least one flashlight. Before hitting the road, be sure that the batteries in your flashlight are fully charged. Pack an extra set of batteries or a recharger if you're using rechargeables. Any time you set out on the road on your bike, be sure that you have a motorcycle tire repair kit in your possession. After all, when you're traveling the back roads, you aren't likely to come across many vehicle service centers. It's always best to be prepared to deal with road hazards that you may encounter during your travels. When you make sure that you have the right type of motorcycle camping gear before you leave home you'll be free to enjoy yourself fully during your outdoor adventure. The last thing you want to do is spend your valuable vacation time visiting stores looking for equipment that you could have easily purchased before hitting the road.